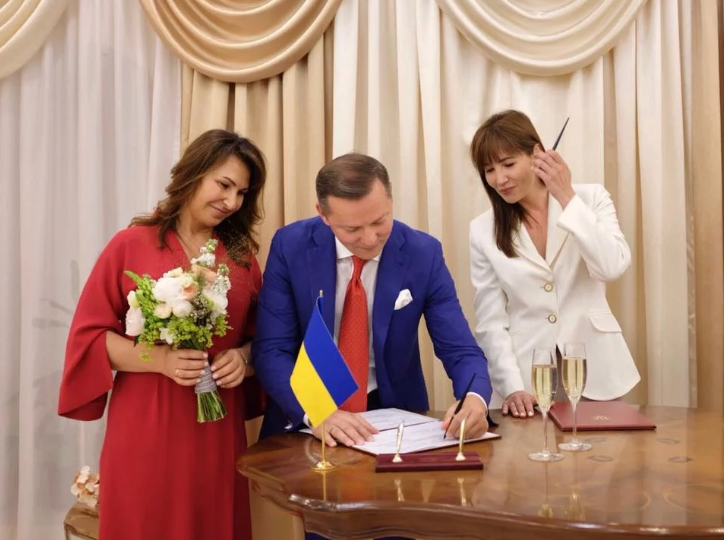 Oleh Lyashko, the leader of the Radical Party, got married to his common-law wife Rosita Sayranen, as he wrote on his Facebook page. “New Ukrainian family. More of happy families and children in our native Ukraine!” he noted, attaching photos from the wedding ceremony. The bride is wearing a red dress and the MP is in a dark blue suit with a red tie. His associates congratulated with Lyashko’s new status. It is remarkable that the leader of the Radical Party proposed to Rosita after 20 years of the civil marriage. The couple has a daughter Vlada.